"Brother, until the day comes that you're by my side again... I won't lose to anyone!" My name is Pollux. I’m looking for my brother, who is still alive. Meanwhile, I’ll help you. With my pride as a Gemini, I won’t back up from any challenger! This arm is my pride as a Gemini! Behold your eyes, the radiance of our bond! Gloshia Hēphaistos! I refuse to lose a fight until the day I can stand shoulder to shoulder with my brother! Ahh, I can see the stars… Brother, did you hate me…? A Transient practicin highly spiritual martial arts who hails originally from the world of Olympus. He was once a godly being but because he shared his divine blood with his brother, only his right half remains divine while his left half is human. As he and his brother share his divinity, he believes that his brother has also been summoned somewhere in Tokyo and wanders in search of him. He is still practically immortal and so respects those fearless warriors who fight at the risk of their lives. He is currently a guest at Ikebukuro Guild and is rather comfortable with their method of using force as the deciding factor. He feels a particular affinity toward a certain someone who fights with lightning enveloping his fists. A fighter and member of the Berserkers, originally from the Olympus gate. Though he was once a full-fledged god, because he shared his blood with his brother a portion of his power was shared as well, and only the right side of his body is still divine. The two are connected by this blood bond, and Pollux has come to Tokyo in search of his brother, believing him to be wandering the country for unknown reasons. As his own body is all but immortal, Pollux feels respect for humans who fight bravely, even at the risk of death. For the time being, he has grown accustomed to staying with the Berserkers guild, as their methodology of Might Makes Right suits him well, and he has come to enjoy the company of the man whose fist is wreathed in lightning in particular. His steel gauntlets are a Sacred Artifact created by a master blacksmith back home. 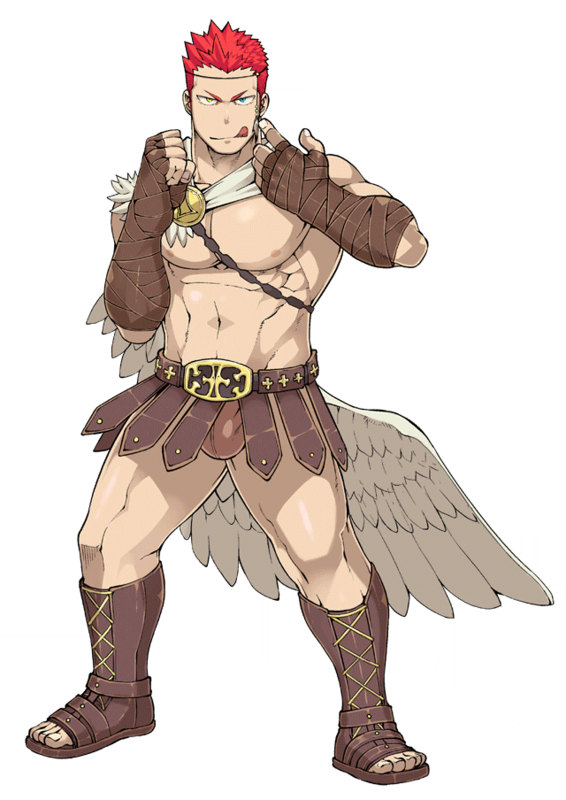 Typically, Pollux keeps them wrapped in a soft caestus for the sake of making battles a little more fun. 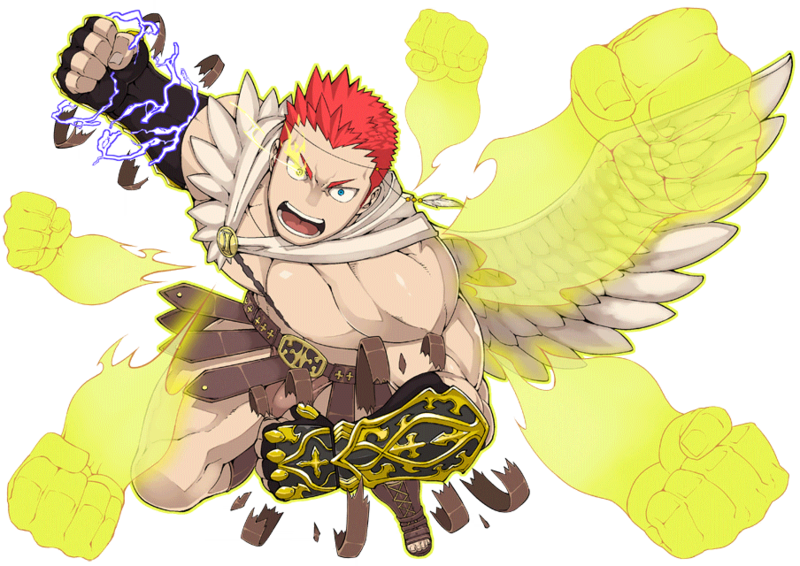 But when he's acknowledged an opponent as someone to take seriously the seals are unraveled, and his right fist, glowing with the lightning of the father of the gods, tears through enemies with meteoric power. Because he fights only with his fists his range is short, but the power behind each punch is unrivaled. He feels nothing but contempt for what he considers cowardly fighters who rely on ranged weapons. 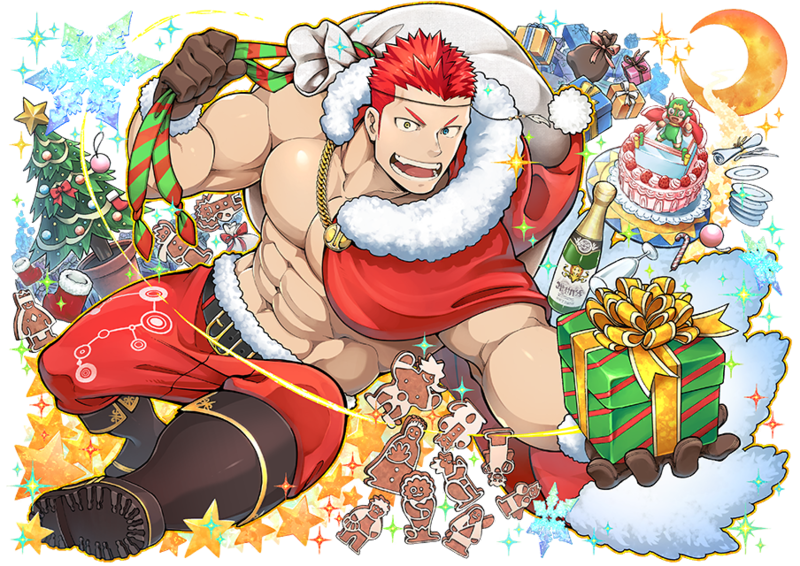 "Lured by the words of the Ikebukuro Guild Master, he arrives at the Christmas party venue expecting fierce battle against strong opponents, only to be told that, this year, they are holding a race, instead. Having looked forward to hand-to-hand combat, he is a little disappointed, but quickly comes to think this could also be interesting. With varying and unique team mates, he gets the feeling this will be a fun adventure. The engineer from his home world who created his Iron Fist Sacred Artifacts has also been summoned to Tokyo, and performs regular maintenance checks on them at the Kamata Guild. However, the two Transients have very different personalities, especially concerning how they feel about their mothers, so they are always at odds." "I have an interesting plan." Such were the words the Ikebukuro guild master spoke when he invited him to the Christmas party hall. Since his boss said so, he wondered what sort of battle with warriors was waiting for him, but he was informed they would be holding a race this year. He was expecting some prizefighting so he was just a bit disappointed, but he promptly changed his mind and thought it seemed like fun. All of his teammates are unique. Pollux felt instinctively that this would be a fun adventure. The artisan who created his fist Sacred Artifact has been summoned to Tokyo once again, so he is recieving periodic maintenance at the Kamata guild. However due to excessive differences in personalities, particularly concerning their feelings towards their mothers, whenever they meet they're always in constant arguments. In Greco-Roman myth, Pollux was a demigod born of Princess Leda and Zeus (at the time, in the form of a swan.) His brother Castor, however was born of a mortal father. When Castor died, Pollux shared his immortality with him, and they became the Twin Gemini constellation. Pollux is so cute, he's my favorite... but it is SO hard to choose between the dashing skin or the naughty skin in his christmas alt. He's really underrated :v I'm glad he got a Christmas version, its really great. As someone trying to get all of the characters drawn by Naop he’s the one I wanted more out of obligation cause he’s kinda eh, but damn his Christmas version is making me warm up to him! And I got him first try so yay! He makes me so wet but there's literally no art for him. C'mon. I wanna see his firecrotch.